Are you tired of eating pho at a Vietnamese restaurant? 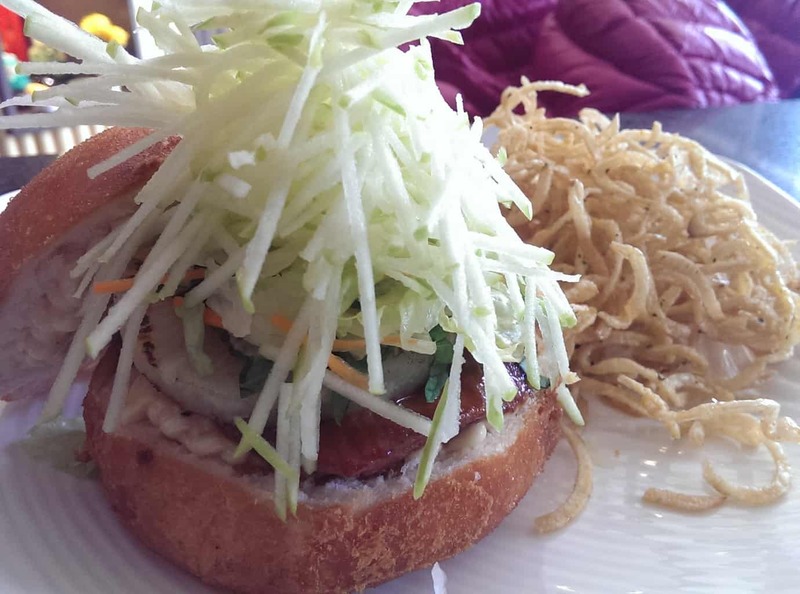 Then, try this new modern Vietnamese bistro on 17th Ave! 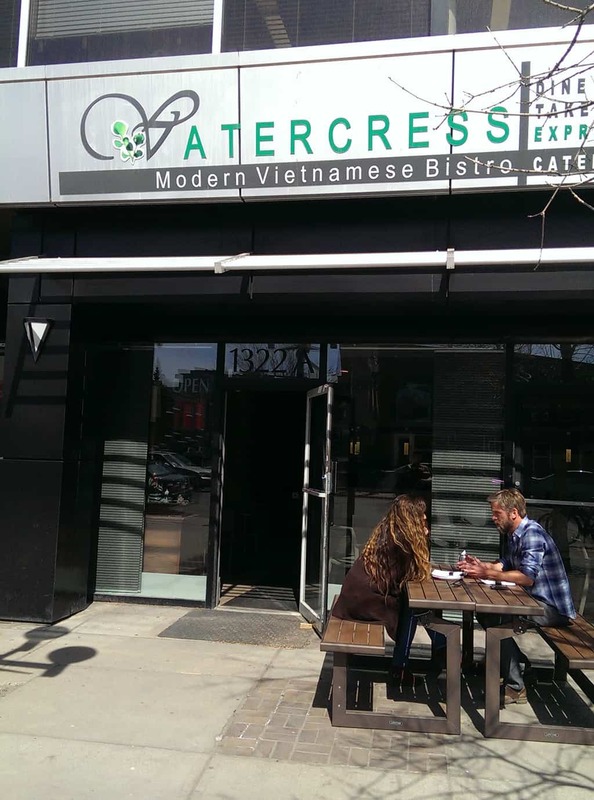 Watercress Express infuses modern and foreign elements into Vietnamese cuisine. Its audacious, creative spirit has made it the talk to the town. 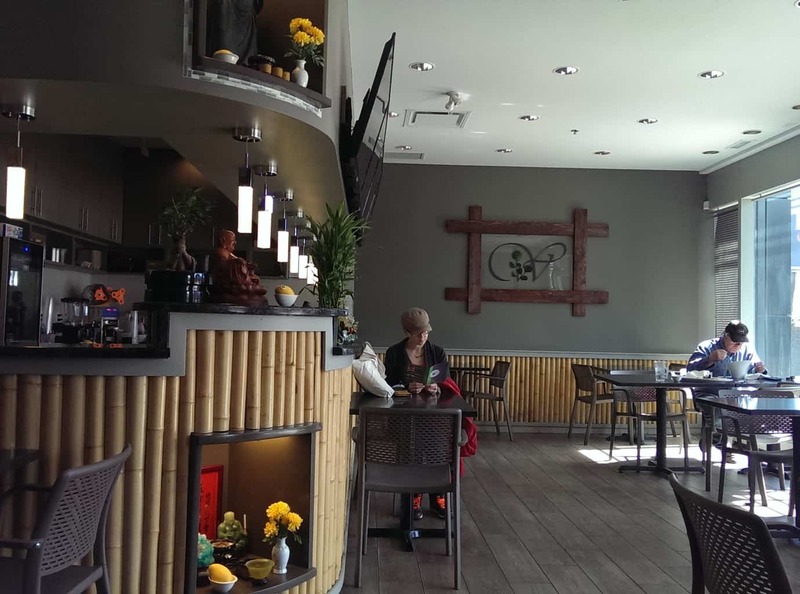 As we stepped into the restaurant, I quickly took notice of its simple, “zen-fully” design. The bamboo arrangement, grey furnishing, Buddhist god statues, and oriental tabletop water fountain magically calmed my anxious mind. 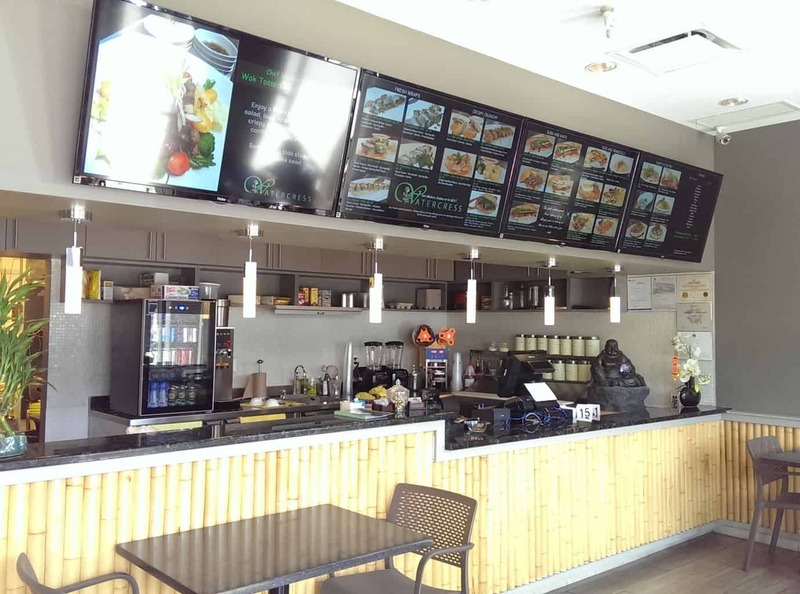 Above the counter, menu and specials were displayed on the gigantic monitors. When you have made up your mind, you can place your order at the counter with the staff. Then, a table number card will be given to you while you wait for your food to be prepared. First came the appetizer, Vietnamese staple – the deep fried pork spring rolls (5.50). 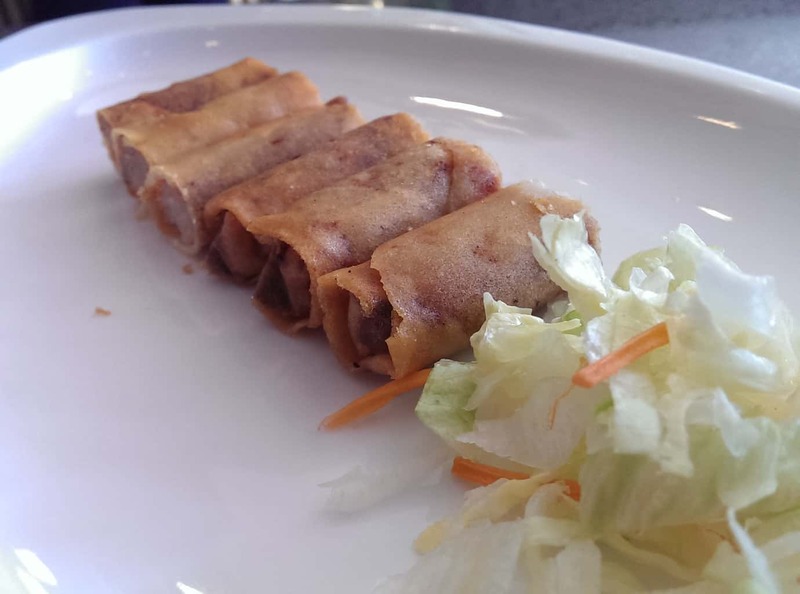 The spring rolls were cut in half for you to eat in one bite. They were served fresh and hot with crunchy exterior and flavorful ground pork filling. In terms of taste, they were pretty standard. On the side was the nuoc cham dipping sauce with a blend of sour, sweet and spicy. The only thing I would complain was that there was not enough fish sauce in the dipping sauce. Next was the sweet chili lime chicken wrap ($7.75). 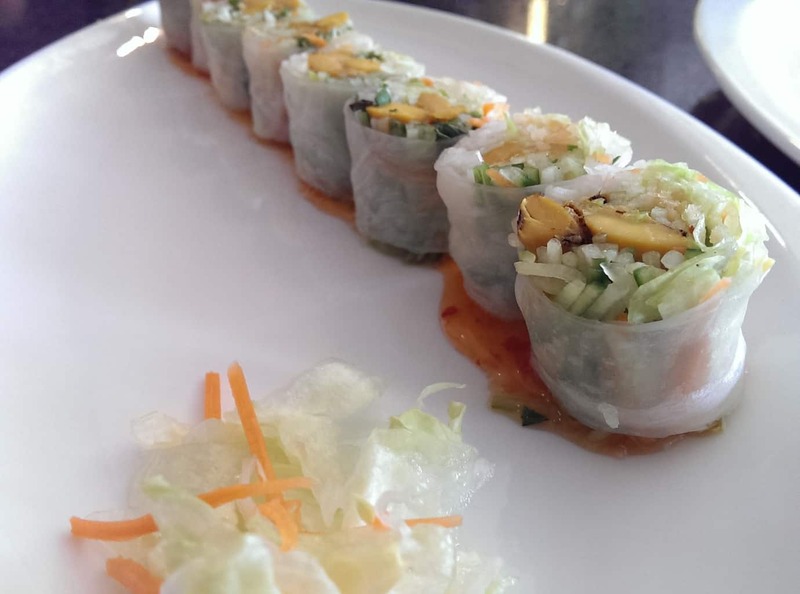 With vermicelli, herbs, fresh vegetables and chicken wrapped in rice paper, these rolls were a refreshing appetizer. The sweet chili sauce at the bottom and the lime juice really brought out the best flavor of the veggies. Interestingly, there was also green apple inside the wrap to give it a hint of sweet taste. Just like the season, it was a celebration of spring in the mouth! At the end, our palate was invaded by the light, luscious chicken. The highlight was the nuoc cham braised pork cheek bao ($10.75). It was SOOOOOO AMAZING!! Totally worth the wait. It is named the “bao” but it is basically like a “burger.” And I swear, it is THE BEST burger I’ve ever had. The braised pork was exceptionally soft, fatty, juicy and lightly seasoned. The green apple salad and pineapple were a fun twist and tasty complement, offering a sweet, appetizing taste. The mantou (i.e. chinese steam bun) was a clever substitution for traditional burger bun. It was deep fried to give it a crispy coating. Its chewy solid dough and milky sweet taste made me crave more.